Time is the one thing in this world that we can never get back. Once it’s gone, it’s gone forever. Even though out time is so precious, we’re often wasting it in a variety of different ways. For example, sitting in traffic, completing random chores, and even cooking. If you’ve found yourself spending any of your free time cooking, you can definitely benefit from a meal delivery service. Who actually likes grocery shopping? I certainly don’t. You have to make a list of everything you need to cook a handful of meals, drive to the grocery store, roam around looking for food while trying not to bump into other shoppers, and then pack everything up into your car only to unload everything into your kitchen and pantry. For me, it’s at least a (painful) two hour endeavor. Food and meal delivery services take the hassle out of grocery shopping by eliminating it completely. What’s more is the ingredients meal kits send you is portioned exactly to fit the meals you’re going to cook. That means no more buying a ton of one single ingredient to cook with only to have it sit unused in your kitchen for years to come. There are two types of people in this world. People who cook a variety of different meals and those you stick to the same old recipes week after week. Both can benefit from meal delivery services. That’s because meal kits allow you to explore new recipes without having to guess what you’re going to like. Many do this by giving you a short quiz to complete that narrows down which meals of theirs best fit your taste pallet. Many services do the prep for you. Beyond not having to think about grocery shopping or searching for recipes, you also don’t have to prep much with many of the meal delivery services around today. For example, Gobble is a service that markets itself as one of the quickest meal delivery services around. This is because almost every single one of the ingredients they send you is already pre-prepped (e.g. veggies are chopped, eggs are boiled, and pasta is cooked). That means all you have to do is complete the last 25% of the cook and you’re ready to eat! Some offer already prepared meals. Many friends of mine who don’t like to cook often spend a lot of money on ordering takeout almost every day. Or worse, they will just heat up junk microwave dinners that are almost always loaded with preservatives and sodium. If you’re not looking to cook at all, meal delivery services can still save you time. Services such as Freshly and Munchery will deliver you incredibly high quality, tasty dishes that you can eat at a moments notice. In fact, some Munchery meals are even developed by James Beard Award winning chefs. Cleanup is often a breeze. I think we can all agree that the worst part of cooking is the cleanup. No one actually enjoys having to put things away, throw away the garbage, and clean the dishes/pots/pans. Meal kits no this is a big headache and they’ve done a lot to minimize it. 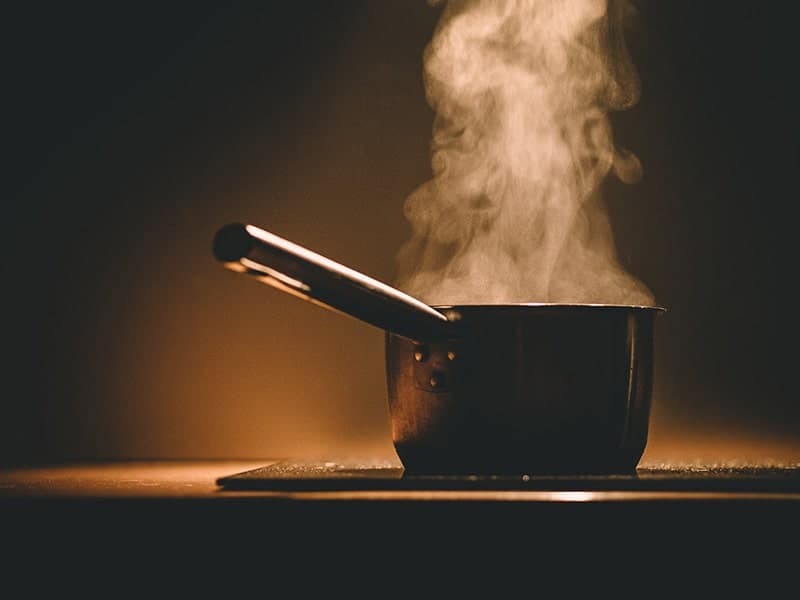 Many try to minimize the amount of cooking pots and pans needed, as well as utensils needed to cook. As far as ingredients, every single meal delivery service we’ve reviewed packages their ingredients in recyclable containers. That means you just throw them in the recycling when you’re done and you don’t have to worry about putting them away at the end of your meal. They make diets less time consuming. If you’ve ever dieted, you know how tedious it can be to eat almost anything. You have to read every inch of the ingredients and nutrition facts to make sure that it fits within your dietary restrictions, whatever they may be. Again, meal kits come to the rescue. There are tons of healthy meal delivery services out there (like BistroMD, Diet-To-Go, and Nutrisystem) that take out all of tedious calorie counting out of the diet equation. 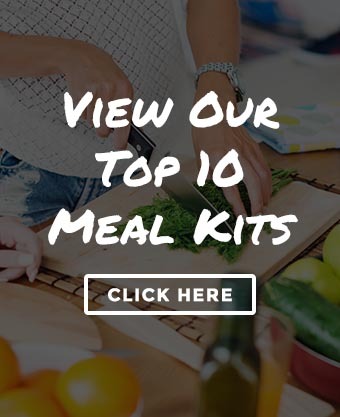 Regardless of whether you’re looking to cook for yourself, you and your spouse, or even your whole family, there’s a meal kit out there that can help you save time. Be sure to do your research to find out which service works best for your needs. Have a question? Feel free to leave it below and I’ll answer it as quickly as possible!